Mocha Chocolate Fat Bombs are such a fun addition to your keto diet. 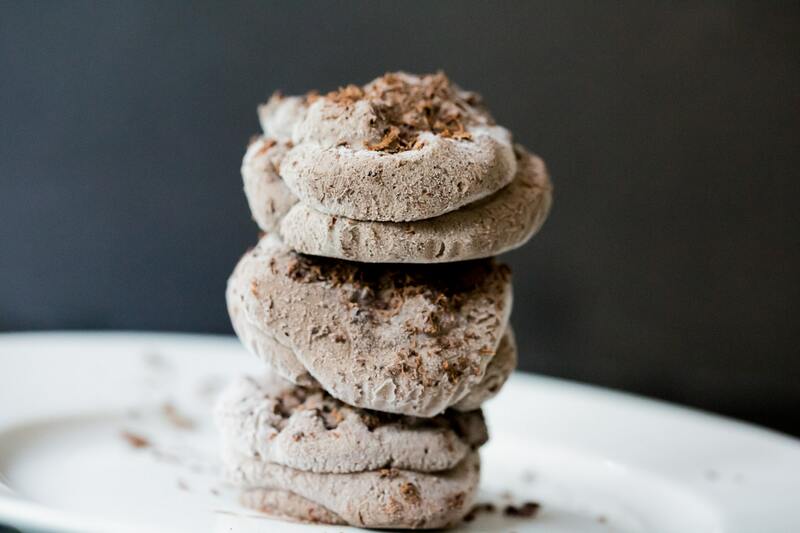 Everyone loves a good excuse to eat chocolate, and these are my favorite! Make a batch and keep on hand for those days you just need that chocolate pick me up to fit into your macros. I enjoy something a little sweet in the evenings. It doesn’t take much, and I try not to indulge every single day, but a little treat goes a long way to satisfy my sugar cravings. 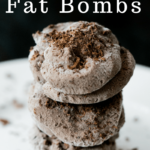 Having tried all different varieties of fat bombs including Chocolate Mousse, Peanut Butter Fluff, Strawberry Fat Bombs, and Lemon Fat Bombs, I thought that Mocha Chocolate Fat Bombs would be a nice change. 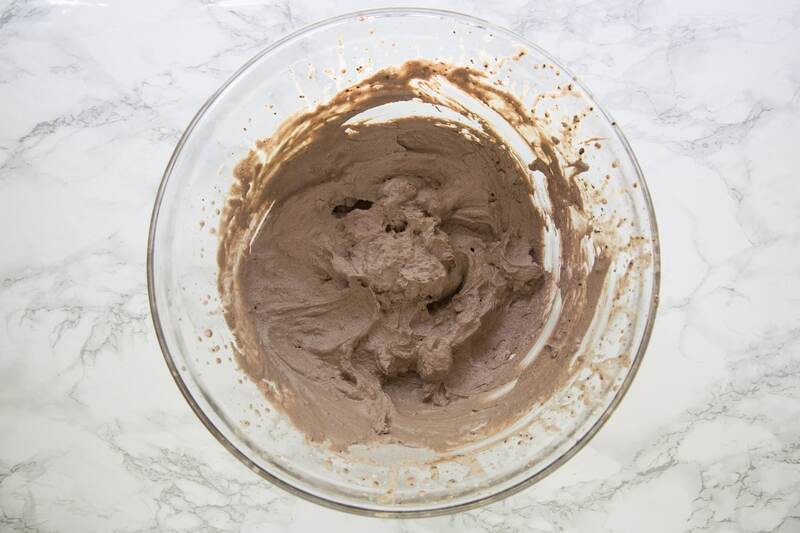 These Mocha Fat Bombs are so easy to make. You can whip up a batch in ten minutes, but you’ll have to wait for them to set up in the freezer to dig in. Since it naturally takes a little longer to eat frozen fat bombs, I have found that they help with portion control. 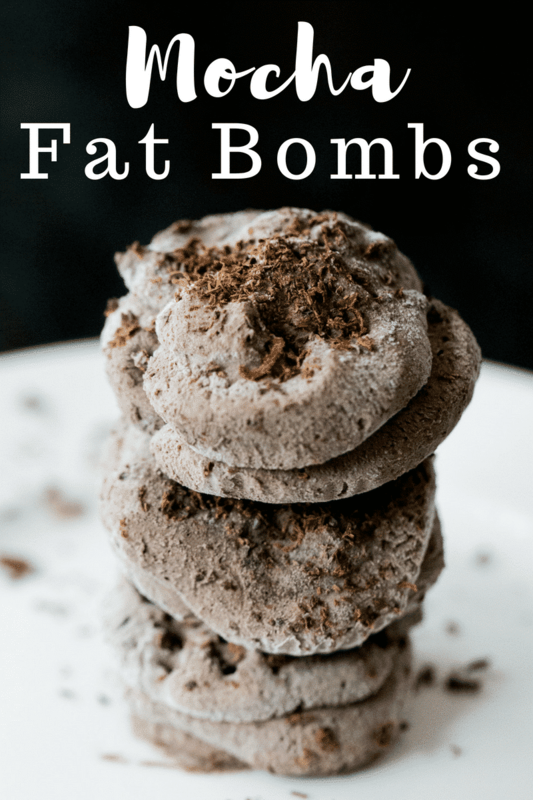 So, if you struggle with eating too many Keto Fat Bombs at a sitting, try frozen fat bombs as I have found that I get satisfied much more quickly. Most fat bomb recipes start with a coconut oil base. 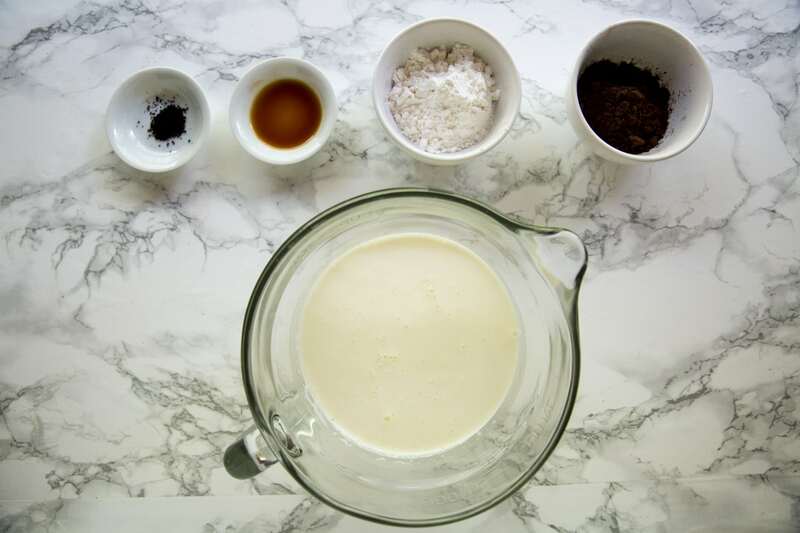 You can then add in a mixture of dry ingredients and flavors to create a deliciously creamy treat that everyone enjoys. Scroll to the bottom of the post for the full recipe in printable form. 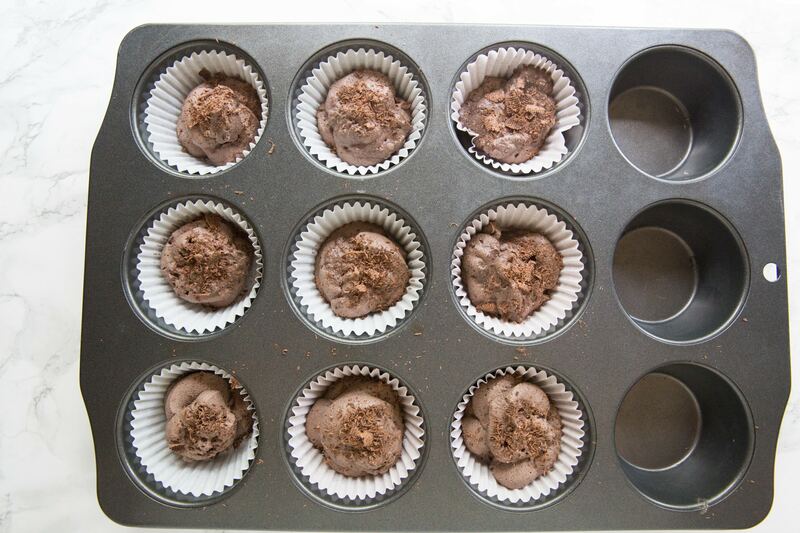 These mocha chocolate fat bombs are perfectly portioned in the cupcake liners. That makes them super easy to make in larger batches to freeze for later! In a medium mixing bowl place 2 cups of heavy whipping cream and beat until soft peaks begin to form. Add all other ingredients and mix again until combined. Place cupcake liners in a muffin tin. Using a plastic baggie or icing bag, pipe mixture into liners. Optional: Shave 100% sugar-free chocolate to sprinkle on top. Place into the freezer till frozen. Remove from freezer and place in a sealed container to store in the freezer. Please note: The sugar alcohols from Swerve are not including in the nutritional information as most people subtract to get net carbs. We love adding chocolate to our menu for those days when you need just a bit of extra sweetness. If you haven’t checked our Keto Recipe Index yet, make sure to check it out today. I share tons of great updates on classics making them better for macros. Make delicious meals and treats for your family and stay keto-friendly. Does the recipe call for brewed espresso or ground espresso beans? Can I sub the heavy whipping cream for full fat coconut oil? I’ve only tried it as is so I’m not sure.